At the heart of Internet connectivity is the Internet of Things (IoT). Every enterprise today that utilizes digital technology in its core processes or organizational infrastructure adopts some form of IoT. While these connections can give businesses the dynamic they need to compete in an increasingly competitive market, they can also add to a company’s online vulnerability. 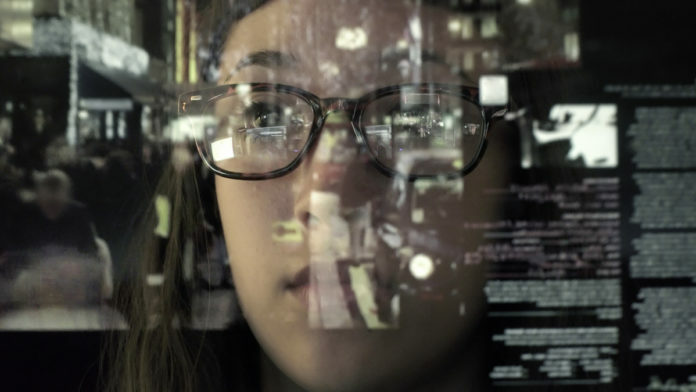 The countless devices, applications, cloud platforms, sensors, systems, and modems that are connected all present a threat to an enterprise’s most core secure data and personnel profiles. If at any given time any of these devices become vulnerable, the entire network — and all devices and platforms within it — becomes exposed. For this reason, companies must take multi-layered approaches to secure the devices and the data that travels between each device throughout every second of every day. Here are five ways companies can improve enterprise security, both internally and externally throughout an IoT-driven network. The first rule of thumb in business security is to question the security of every current device and any additional device within the business network. Every device and component within a network is vulnerable in one way or another. Therefore, IT administrators must understand the risks involved with adding a device and then apply security protocols appropriate to the level of risk. Avoid routers supplied by ISPs. Restrict which ISP addresses can manage the router. Change the router’s LAN IP address if possible. Update the router’s firmware as often as the updates are available. IoT security methods vary depending on a wide range of variable both within the device and within the network. Unfortunately, most IoT manufacturers do not place a high priority on securing these devices. As a result, IT techs and administrators must do it upon installation. Similar to the above point, all IoT devices must be assessed for security characteristics. What characteristics in each device do IT administrators look for? A VPN gives a company privacy and anonymity by creating a private network from a public internet connection. A VPN masks an internet protocol (IP) address so that no other entity can trace any online actions. By combining a VPN with the best browser for privacy, a company has a greater chance of optimizing security. Regardless of how many IoT devices you have connected to your network or the activity that transpires between the devices, the VPN shields all activity from those trying to access or hack the data. Every IoT device adds another connection endpoint. Eventually, enough devices can exhaust the security of an existing system. Therefore, users may need to expand the existing security solutions to mitigate IoT risks. Breaches occur when a company employee (end-user) doesn’t understand the security protocols, or they access a part of the network that they were not supposed to. Therefore, companies need to regulate and control which devices end-users connect to the network. Design and implement a security policy for an IoT based network, paying special attention to items such as device authentication to the network, device network communication controls, and device logging. These devices lack hardened operating systems. They are vulnerable to hacks. Hackers are always testing systems for weaknesses. The slightest opening in a network will allow a hacker to wreak havoc on a company. Companies can block criminals at every point through risk-based authentication. Another possible solution is utilizing encryption keys to hide the identity of an IoT device. We’ve all seen the headlines over the past decade of what can happen when a seemingly impenetrable mega corporation experiences a security breach. In most cases, the breaches occurred because the company did not take the security of its data seriously enough. Cybersecurity must be the top priority for today’s companies. Every new development ushers in countless hackers who are already ahead of the curve and waiting for companies to display some type of vulnerability with their network. How can companies prepare for worst case scenarios? Develop an IoT Readiness Plan that includes a comprehensive risk assessment and discovery of all IoT devices that might present a catastrophe. An IoT risk assessment should include an audit of the network, the applications, and security protocols. Identify, catalog, and categorize all IoT devices. Make sure that IT has a comprehensive understanding and knowledge of each device. Replace or upgrade devices as necessary without fail. Optimize and upgrade all VPN services and providers. Have a complete understanding of what a VPN provider can offer and invest time and money in ensuring that the company has the absolute best VPN products on the market today. Backup all data in a secure cloud or on-site platform. While cloud platforms are convenient, they’re not always safe. Make sure that the company is utilizing a highly secure cloud platform that is managed by a reputable, experienced, and certified IT company. 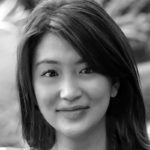 Naomi is a cybersecurity advisor and a contributing writer at Surfshark. Her focus is primarily on innovative technologies, data communications, and online threats. She is committed to fighting for safer internet and pushing privacy agenda forward. In a typically fragmented telecom technology environment, the ability to assemble information from siloed systems is crucial. With an API-based commerce solution, telecom companies can create not just bundles, but a dynamic and loyalty-building customer experience. 34% of merchants experienced "friendly fraud" and along with banks, lost a combined total of $31 billion dollars in 2017. Here are 7 tips found to be effective at combatting friendly fraud. Your blog is really helped me to understand enterprise security and resolved many issues. Especially your Virtual Private Network (VPN) section will help me to resolve my basic issues. Thanks for sharing. Do you have more blogs on this niche? Good tips, I think VPNs are important for freelancers as well, I occasionally do some copy writing and use Surfshark every time I connect to public wi-fi. One thing to notice is that every VPN does slow down the internet speed a bit since your traffic flows through their servers, but that’s the price you gotta pay for cyber security, 2$/MO as well. Apart from the speed drop the benefits are huge especially when it comes to IoT, you can set up a VPN on your router (just be sure to check online if it supports VPN) and then all devices connected to your network will be secured from hackers. Same goes for small businesses, I think they can buff up their security using a commercial VPN.